PSA: I’ve rolled over my OpenPGP Key. The old key F289F7BA977DF4143AE9FDFBF70A02906C301813 is considered to be too short by some and it’s sufficiently old to retire it. My new key is F98D03D7DC630399AAA6F43826B3F39189C397F6. It’s been a while since I did that last. And GnuPG still makes it hard to use an expired key, I cannot sign this transition statement with both keys as suggested by this document. Also, I might consider using a service such as https://www.expirybot.com/ for telling me when it’s time to think of a strategy for the next roll-over. It’s a shame we don’t have such tooling in place for the desktop. Anyway, feel free to grab the new from the WebPKI protected resource here. As in the last ten (or so) years I attended FODSEM, the biggest European Free Software event. This year, though, I went a day earlier to attend one of the fringe events, the CHAOSSCon. I didn’t take notice of the LinuxFoundation announcing CHAOSS, an attempt to bundle various efforts regarding measuring and creating metrics of Open Source projects. The CHAOSS community is thus a bunch of formerly separate projects now having one umbrella. OpenStack’s Ildiko Vancsa opened the conference by saying that metrics is what drives our understanding of communities and that we’re all interested in numbers. That helps us to understand how projects work and make a more educated guess how healthy a project currently is, and, more importantly, what needs to be done in order to make it more sustainable. She also said that two communities within the CHAOSS project exist: The Metrics and the Software team. The metrics care about what information should be extracted and how that can be presented in an informational manner. The Software team implements the extraction parts and makes the analytics. She pointed the audience to the Wiki which hosts more information. Georg Link from the metrics team then continued saying that health cannot universally be determined as every project is different and needs a different perspective. The metrics team does not work at answering the health question for each and every project, but rather enables such conclusions to be drawn by providing the necessary infrastructure. They want to provide facts, not opinions. Jesus from Bitergia and Harish from Red Hat were talking on behalf of the technical team. Their idea is to build a platform to understand how software is developed. The core projects are prospector, cregit, ghdata, and grimoire, they said. I think that we in the GNOME community can use data to make more informed decisions. For example, right now we’re fading out our Bugzilla instance and we don’t really have any way to measure how successful we are. In fact, we don’t even know what it would mean to be successful. But by looking at data we might get a better feeling of what we are interested in and what metric we need to refine to express better what we want to know. Then we can evaluate measures by looking at the development of the metrics over time. Spontaneously, I can think of these relatively simple questions: How much review do our patches get? How many stale wiki links do we have? How soon are security issues being dealt with? Do people contribute to the wiki, documentation, or translations before creating code? Where do people contribute when coding stalls? Bitergia’s Daniel reported on Diversity and Inclusion in CHAOSS and he said he is building a bridge between the metrics and the software team. He tried to produce data of how many women were contributing what. Especially, whether they would do any technical work. Questions they want to answer include whether minorities take more time to contribute or what impact programs like the GNOME Outreach Program for Women have. They do need to code up the relevant metrics but intend to be ready for the next OpenStack Gender diversity report. Bitergia’s CEO talked about the state of the GriomoireLab suite. It’s software development analysis toolkit written largely in Python, ElasticSearch, and Kibana. One year ago it was still complicated to run the stack, he said. Now it’s easy and organisations like the Document Foundation run run a public instance. Also because they want to be as transparent as possible, he said. Yousef from Mozilla’s Open Innovation team then showed how they make use of Grimoire to investigate the state of their community. They ingest data from Github, Bugzilla, newsgroup, meetups, discourse, IRC, stackoverflow, their wiki, rust creates, and a few other things reaching back as far as 20 years. Quite impressive. 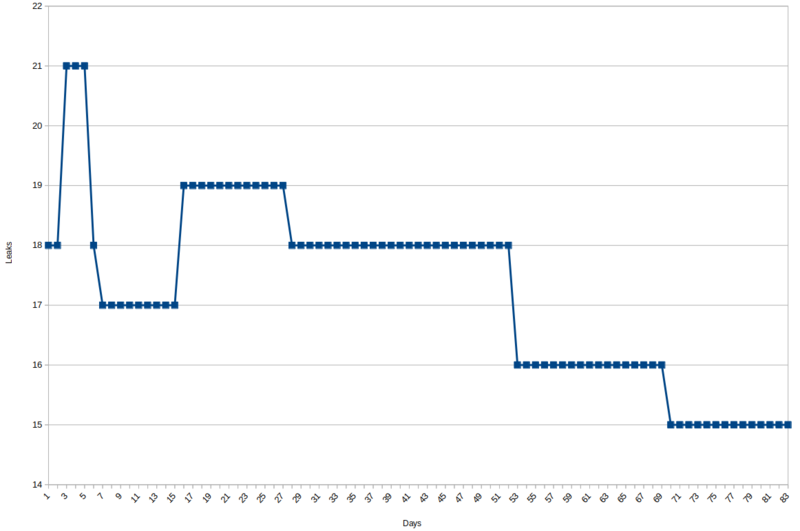 One of the graphs he found interesting was one showing commits by time zone. He commented that it was not as diverse as he hope as there were still many US time zones and much fewer Asian ones. Raymond from the Linux Foundation talked about Metrics in Open Source Communities, what are they measuring and what do they do with the data. Measuring things is not too complicated, he said. But then you actually need to do stuff with it. Certain things are simply hard to measure, he said. As an example he gave the level of user or community support people give. Another interesting aspect he mentioned is that it may be a very good thing when numbers go down, also because projects may follow a hype cycle, too. And if your numbers drop, it’ll eventually get to a more mature phase, he said. He closed with a quote he liked and noted that he’s not necessarily making fun of senior management: Not everything that can be counted counts and not everything that counts can be counted. Boris then talked about Crossminer, which is a European funded research project. They aim for improving the management of software projects by providing in-context recommendations and analytics. It’s a continuation of the Ossmeter project. He said that such projects usually die after the funding runs out. He said that the Crossminer project wants to be sustainable and survive the post-funding state by building an actual community around the software the project is developing. He presented a rather high level overview of what they are doing and what their software tries to achieve. Essentially, it’s an Eclipse plugin which gives you recommendations. The time was too short for going into the details of how they actually do it, I suppose. Eleni talked about merging identities. When tapping various data sources, you have to deal with people having different identity domains. You may want to merge the identities belonging to the same person, she said. She gave a few examples of what can go wrong when trying to merge identities. One of them is that some identities do not represent humans but rather bots. Commonly used labels is a problem, she said. She referred to email address prefixes which may very well be the same for different people, think j.wright@apple.com, j.wright@gmail.com, j.wright@amazon.com. They have at least 13 different problems, she said, and the impact of wrongly merging identities can be to either underestimate or overestimate the number of community members. Manual inspection is required, at least so far, she said. The next two days were then dedicated to FOSDEM which had a Privacy Devroom. There I had a talk on PrivacyScore.org (slides). I had 25 minutes which I was overusing a little bit. I’m not used to these rather short slots. You just warm up talking and then the time is already up. Anyway, we had very interesting discussions afterwards with a few suggestions regarding new tests. For example, someone mentioned that detecting a CDN might be worthwhile given that CloudFlare allegedly terminates 10% of today’s Web traffic. When sitting with friends we noticed that FOSDEM felt a bit like Christmas for us: Nobody really cares a lot about Christmas itself, but rather about the people coming together to spend time with each other. The younger people are excited about the presents (or the talks, in this case), but it’s just a matter of time for that to change. It’s been an intense yet refreshing weekend and I’m looking very much forward to coming back next time. For some reason it feels really good to see so many people caring about Free Software. Few weeks ago I had a talk at Cubaconf 2017 in Havanna, Cuba. It’s certainly been an interesting experience. If only because of Carribean people. But also because of the food and the conditions the country has be run under the last decades. Connecting to the Internet is a bit difficult in Cuba. I booked a place which had “Wifi” marked as their features and I naïvely thought that it meant that you by booking the place I also get to connect to the Internet. Turns out that it’s not entirely correct. It’s not entirely wrong either, though. In my case, there was an access point in the apartment in which I rented a room. The owner needs to turn it on first and run a weird managing software on his PC. That software then makes the AP connect to other already existing WiFis and bridges connections. That other WiFi, in turn, does not have direct Internet access, but instead somehow goes through the ISP which requires you to log in. The credentials for logging in can be bought in the ISPs shops. You can buy credentials worth 1 hour of WiFi connection (note that I’m avoiding the term “Internet” here) for 3 USD or so from the dealer around the corner. You can get your fix from the legal dealer cheaper (i.e. the Internet office…), but that will probably involve waiting in queues. I often noticed people gathering somewhere on the street looking into their phones. That’s where some signal was. When talking to the local hacker community, I found out that they were using a small PCB with an ESP8266 which repeats the official WiFi signal. The hope is that someone will connect to their piece of electronics so that the device is authenticated and also connects the other clients associated with the fake hotspot. Quite clever. The conference was surprisingly well attended. I reckon it’s been around hundred people. I say surprisingly, because from all what I could see the event was weirdly organised. I had close to zero communication with the organisers and it was pure luck for me to show up in time. But other people seemed to be in the know so I guess I fell through the cracks somehow. Coincidentally, you could only install the conference’s app from Google, because they wouldn’t like to offer a plain APK that you can install. I also didn’t really know how long my talks should be and needed to prepare for anything between 15 and 60 minutes. My first talk was on PrivacyScore.org, a Web scanner for privacy and security issues. As I’ve indicated, the conference was a bit messily organised. The person before me was talking into my slot and then there was no cable to hook my laptop up with the projector. We ended up transferring my presentation to a different machine (via pen drives instead of some fancy distributed local p2p network) in order for me to give my presentation. And then I needed to rush through my content, because we were pressed for going for lunch in time. Gnah. But I think a few people were still able to grasp the concepts and make it useful for them. My argument was that Web pages load much faster if you don’t have to load as many trackers and other external content. Also, these people don’t get updates in time, so they might rather want to visit Web sites which generally seem to care about their security. I was actually approached by a guy running StreetNet, the local DIY Internet. His idea is to run PrivacyScore against their network to see what is going on and to improve some aspects. Exciting. My other talk was about GNOME and how I believe it makes more secure operating systems. Here, my thinking was that many people don’t have expectations of how their system is supposed to be looking or even working. And being thrown into the current world in which operating systems spy on you could lead to being primed to have low expectations of the security of the system. 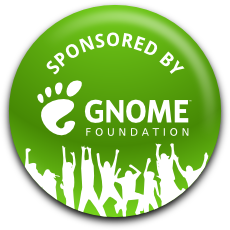 In the GNOME project, however, we believe that users must have confidence in their computing being safe and sound. To that end, Flatpak was a big thing, of course. People were quite interested. Mostly, because they know everything about Docker. My trick to hook these people is to claim that Docker does it all wrong. Then they ask pesky questions which gives me many opportunities to mention that for some applications squashfs is inferior to, say, OStree, or that you’d probably want to hand out privileges only for a certain time rather than the whole life-time of an app. 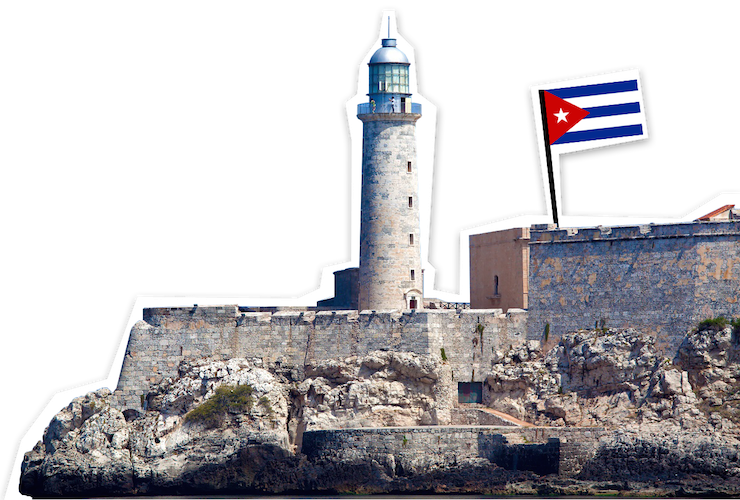 I was also to make people look at EndlessOS which attempts to solve many problems I think Cubans have. The first talk of the conference was given by Ismael and I was actually surprised to meet people I know. He talked about his hackerspace in Almería, I think. It was a bit hard to me to understand, because it was in Spanish. He was followed by Valessio Brito who talked about putting a price on Open Source Software. He said he started working on Open Source Software at the age of 16. He wondered how you determine how much software should cost. Or your work on Open Source. His answer was that one of the determining factors was simply personal preference of the work to be performed. As an example he said that if you were vegan and didn’t like animals to be killed, you would likely not accept a job doing exactly that. At least, you’d be inclined to demand a higher price for your time. That’s pretty much all he could advise the audience on what to do. But it may also very be that I did not understand everything because it was half English and half Spanish and I never noticed quickly enough that the English was on. I visited probably the only private company in Cuba which doubles as a hackerspace. It’s interesting to see, because in my world, people go and work (on computer stuff) to make enough money to be free to become a singer, an author, or an artist. In Cuba it seems to be the other way around, people work in order to become computer professionals. My feeling is that many Cubans are quite artsy. There is music and dancing everywhere. Maybe it’s just the prospects of a rich life though. The average Cuban seems to make about 30USD a month. That’s surprising given that an hour of bad WiFi costs already 1 USD. A beer costs as much. I was told that everybody has their way to get hold of some more money. Very interesting indeed. Anyway, the people in the hackerspace seemed to be happy to offer their work across the globe. Their customers can be very happy, because these Cubans are a dedicated bunch of people. And they have competitive prices. Even if these specialists make only hundred times as much the average Cuban, they’d still be cheap in the so called developed world. After having arrived back from Cuba, I went to the Rust Hackfest in Berlin. It was hosted by the nice Kinvolk folks and I enjoyed meeting all the hackers who care about making use of a safer language. I could continue my work on rustifying pixbuf loaders which will hopefully make it much harder to exploit them. Funnily enough, I didn’t manage to write a single line of Rust during the hackfest. But I expected that, because we need to get to code ready to be transformed to Rust first. More precisely, restructure it a bit so that it has explicit error codes instead of magic numbers. And because we’re parsing stuff, there are many magic numbers. While digging through the code, other bugs popped up as well which we needed to eliminate as side challenges. I’m looking much forward to writing an actual line of Rust soon! Uh, I almost forgot about blogging about having talked at the GI Tracking Workshop in Darmstadt, Germany. The GI is, literally translated, the “informatics society” and sort of a union of academics in the field of computer science (oh boy, I’ll probably get beaten up for that description). And within that body several working groups exist. And one of these groups working on privacy organised this workshop about tracking on the Web. I consider “workshop” a bit of a misnomer for this event, because it was mainly talks with a panel at the end. I was an invited panellist for representing the Free Software movement contrasting a guy from affili.net, someone from eTracker.com, a lady from eyeo (the AdBlock Plus people), and professors representing academia. During the panel discussion I tried to focus on Free Software being the only tool to enable the user to exercise control over what data is being sent in order to control tracking. Nobody really disagreed, which made the discussion a bit boring for me. Maybe I should have tried to find another more controversial argument to make people say more interesting things. Then again, it’s probably more the job of the moderator to make the participants discuss heatedly. Anyway, we had a nice hour or so of talking about the future of tracking, not only the Web, but in our lives. One of the speakers was Lars Konzelmann who works at Saxony’s data protection office. He talked about the legislative nature of data protection issues. The GDPR is, although being almost two years old, a thing now. Several types of EU-wide regulations exist, he said. One is “Regulation” and the other is “Directive”. The GDPR has been designed as a Regulation, because the EU wanted to keep a minimum level of quality across the EU and prevent countries to implement their own legislation with rather lax rules, he said. The GDPR favours “privacy by design” but that has issues, he said, as the usability aspects are severe. Because so far, companies can get the user’s “informed consent” in order to do pretty much anything they want. Although it’s usefulness is limited, he said, because people generally don’t understand what they are consenting to. But with the GDPR, companies should implement privacy by design which will probably obsolete the option for users to simply click “agree”, he said. So things will somehow get harder to agree to. That, in turn, may cause people to be unhappy and feel that they are being patronised and being told what they should do, rather than expressing their free will with a simple click of a button. Eye/o’s legal counsel Judith Nink then talked about the juristic aspects of blocking advertisements. She explained why people use adblockers in first place. I commented on that before, claiming that using an adblocker improves your security. She did indeed mention privacy and security being reasons for people to run adblockers and explicitly mentionedmalvertising. She said that Jerusalem Post had ads which were actually malware. That in turn caused some stir-up in Germany, because it was coined as attack on German parliament… But other reasons for running and adblocker were data consumption and the speed of loading Web pages, she said. And, of course, the simple annoyance of certain advertisements. She presented some studies which showed that the typical Web site has 50+ or so trackers and that the costs of downloading advertising were significant compared to downloading the actual content. She then showed a statement by Edward Snowden saying that using an ad-blocker was not only a right but is a duty. Next up was Dominik Herrmann to present on PrivacyScore.org, a Web portal for scanning Web sites for security and privacy issues. It is similar to other scanners, he said, but the focus of PrivacyScore is publicity. By making results public, he hopes that a race to the top will occur. Web site operators might feel more inclined to implement certain privacy or security mechanisms if they know that they are the only Web site which doesn’t protect the privacy of their users. Similarly, users might opt to use a Web site providing a more privacy friendly service. With the public portal you can create lists in order to create public benchmarks. I took the liberty to create a list of Free Desktop environments. At the time of creation, GNOME fell behind many others, because the mail server did not implement TLS 1.2. I hope that is being taking as a motivational factor to make things more secure. I was invited to present GNOME at the Kieler LinuxTage in Kiel, Germany. But I did watch Benni talking about hosting a secure Web site (slides). He started his show with mentioning DNS which everybody could read, He introduced DNSSEC. Which, funnily enough, everybody also can read, but he failed to mention that. But at least nobody can manipulate the response. Another issue is that you leak information about your host names with negative responses, because you tell the client that there is nothing between a.example.com and b.example.com. He continued with SSH for deploying your Web site and mentioned SSHFP which is a mechanism for authenticating the host key. The same mechanism exists for Web or Mail servers, he said: DANE, DNS-based Authentication of named entities. It works via TLSA records which encode either the certificate or the used public key. Another DNS-based mechanism is relatively young: CAA. It asserts that a certificate for a host name shall be signed by a certain entity. So you can hopefully prevent a CA that you’ve never heard of creating a certificate for your hosts. All of these mechanisms try to make the key exchange in TLS a bit less shady. TLS ensures a secure channel, i.e. confidentiality, non-repudiation, and integrity. That is considered to be generally useful in the Web context. TLS tends to be a bit of a minefield, because of the version and configuration matrix. He recommended to use at least TLS as of version 1.2, to disable compression due to inherent attacks on typical HTTP traffic (CRIME), and to use “perfect forward secrecy” ciphers for protecting the individual connections after the main key leaked. Within TLS you use x509 certificates for authenticating the parties, most importantly in the Web world, the server side. The certificate shall use a long enough RSA key, he said, The certificate shall not use a CN field to indicate the host name, but rather the SAN field. The signatures should be produced with “at least SHA-256”. He then mentioned OCSP because life happens and keys get lost or stolen. However, with regular OSCP the clients expose the host names they visit, he said. Enter OCSP Stapling. In that case the Web server itself gets the OCSP response and hands it over to the client. Of course, this comes with its own challenges. But it may also happen that CAs issue certificates for a host name which doesn’t expect that new certificate. In that case, Certificate transparency becomes useful. It’s composed of three components, he said. Log servers which logs all created certificates, monitors which pull the logs, and auditors which check the logs for host names. Again, your Browser may want to check whether the given certificate is in the CT logs. This opens the same privacy issue as with OCSP and can be somewhat countered with signed log statements from a few trusted log servers. I think that was one of the better talks in the schedule with many interesting details to be discovered. I enjoyed it a lot. I did not enjoy their Web sites, though, which are close to being unusable. The interface for submitting talks gives you a flashback to the late 90’s. Anyway, it seems to have worked for many years now and hope they will have many years to come.